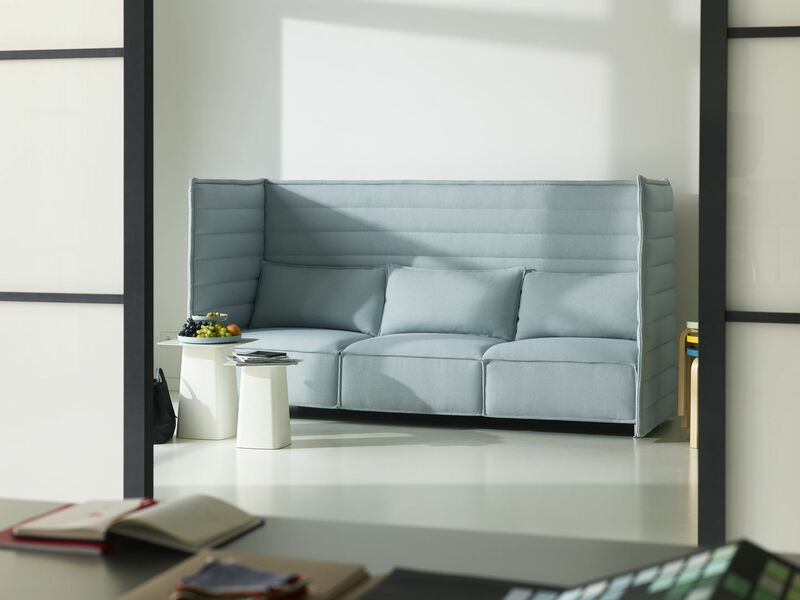 Vitra have introduced a new product to the Alcove safe family – the Alcove Plume Contract bringing the comfort of the home to the office environment and public spaces. Designed by Ronan and Erwan Bouroullec, the cubic shapes of the Alcove range serve as architectural elements that can be used to structure interior spaces. Available in a high back or low back version, the Alcove Plume Contract dispenses with visible legs and the tubular steel frame, creating a minimalist sculptural appearance. 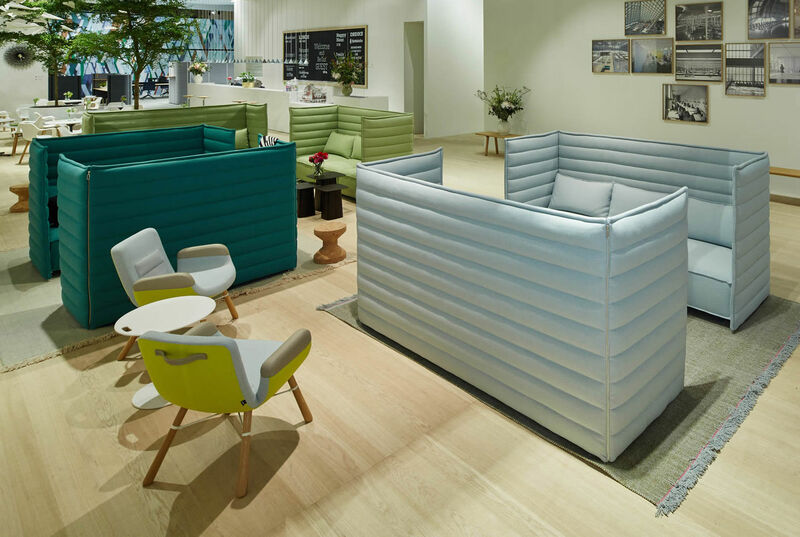 In contrast to their linear contours, they offer the soft comfort of a lounge sofa and bring a sense of familiarity and cosiness to offices and public spaces. The combining of the low seat height of the Alcove Plume sofa with high side back panels creates an effective visual and acoustic shield. The generously proportioned seat cushions are available in two upholstery types, Laser and Credo, with differing degrees of firmness. Both provide great comfort, and ensure that users do not sink in too deeply. The Alcove Plume Contract Highback with its high back and side panels create an inviting place to withdraw, while using two facing Alcove Plume Contract sofas create an additional meeting area to which an Alcove table can be introduced.